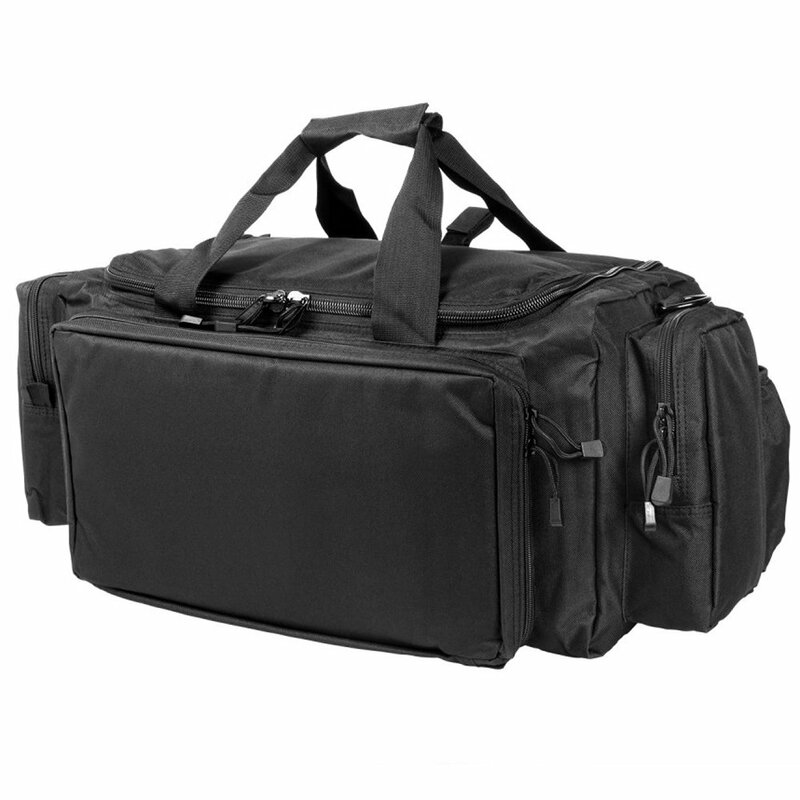 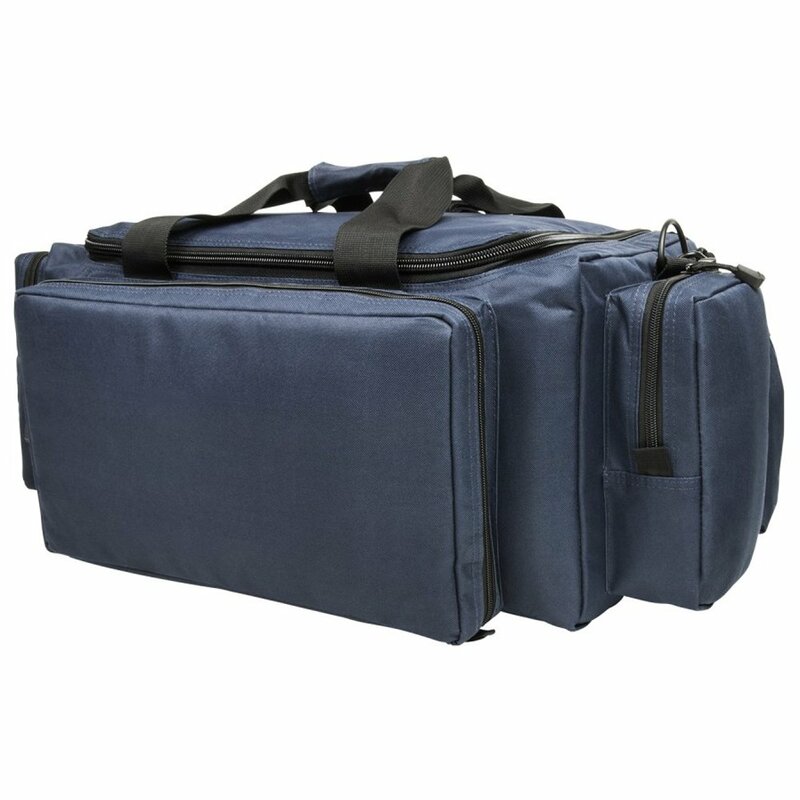 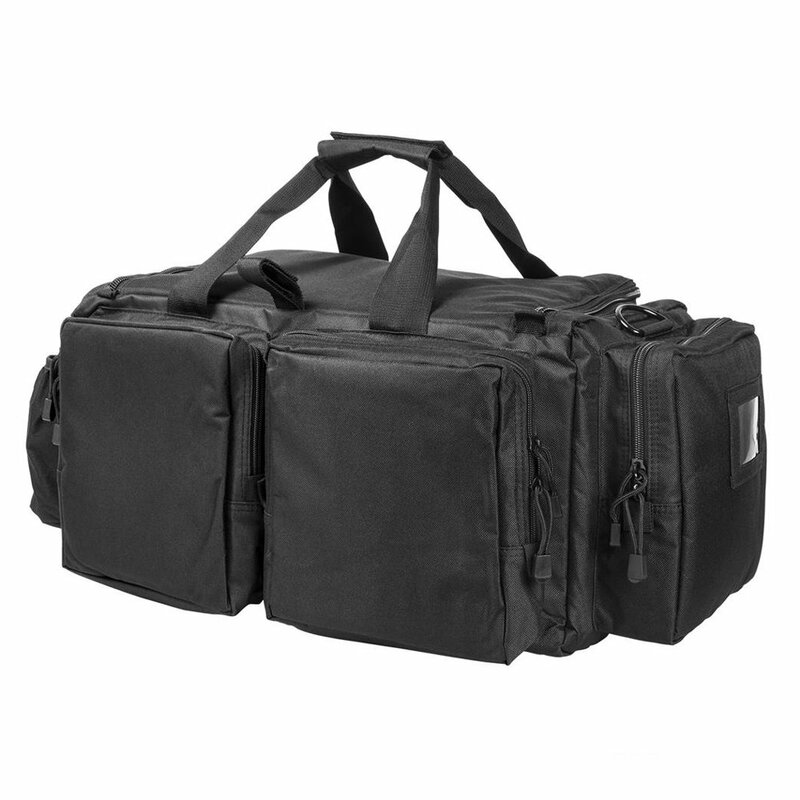 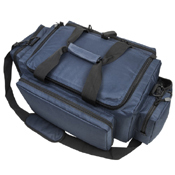 The NcSTAR Vism Expert Range Bag features an extremely roomy main compartment and five outer compartments you will have room for all of your accessories, ammo, magazines and whatever else you need to take to the range. It also includes main compartment organizer with removable organizer bags and brass bag. Main Center Compartment 10”W X 19”LX 9”H, End Inside pockets (2 each) 10”W X 9”H, Padded side pockets (2 Each) 18”L X 8½”H (perfect for storing handguns). 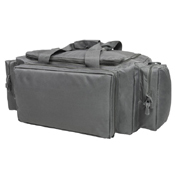 Front padded compartment for rifle (up to 4 each) or pistol (up to 8 each) magazine 15”W X 8”H. Elastic loops for rifle or pistol magazines. 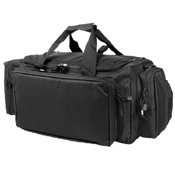 Rear Twin Padded Compartment with elastic loops and pockets for: a notepad, pens, shooting glasses 7¾”W X 8½”H. 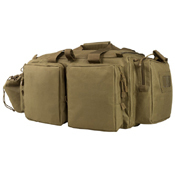 Side padded compartment elastic loops for rifle (up to 4 each) or pistol (up to 8 each) magazines 8¼”W X 8”H. 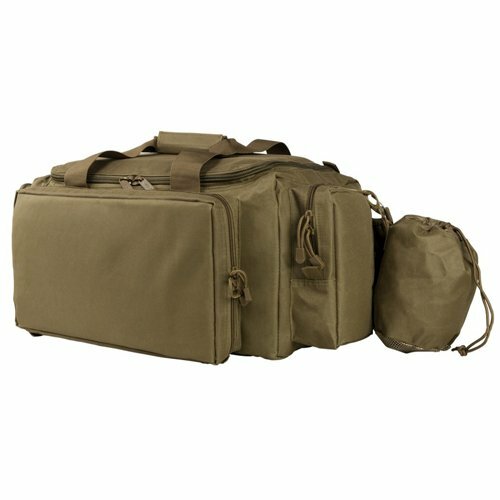 Pull out bag with Carry Handles 6”W X 19”L X 7½”H. 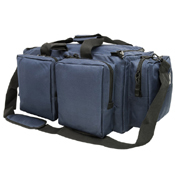 Center Compartment has hook and loop panels for Customizing Inside Pockets arrangement. 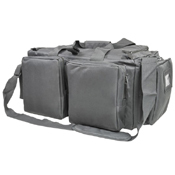 3 Each Adjustable hook and loop Pockets 3”W X 5½”L X 7½”H. 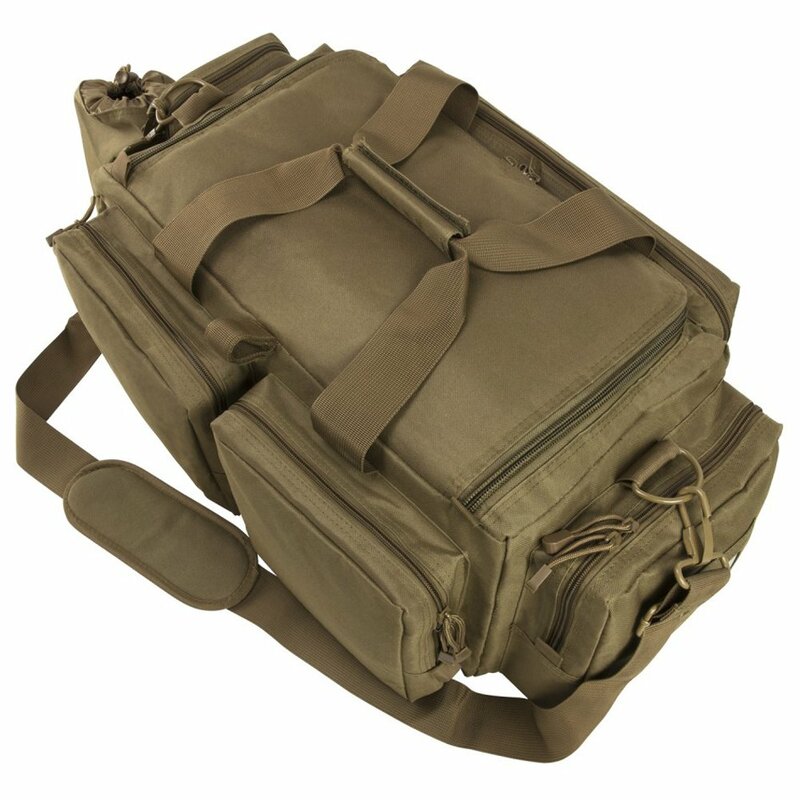 Brass Bag with a Mesh Bottom, Adjustable Top Draw String, and with a Metal Clasp Hook 5”W X 6½”H. 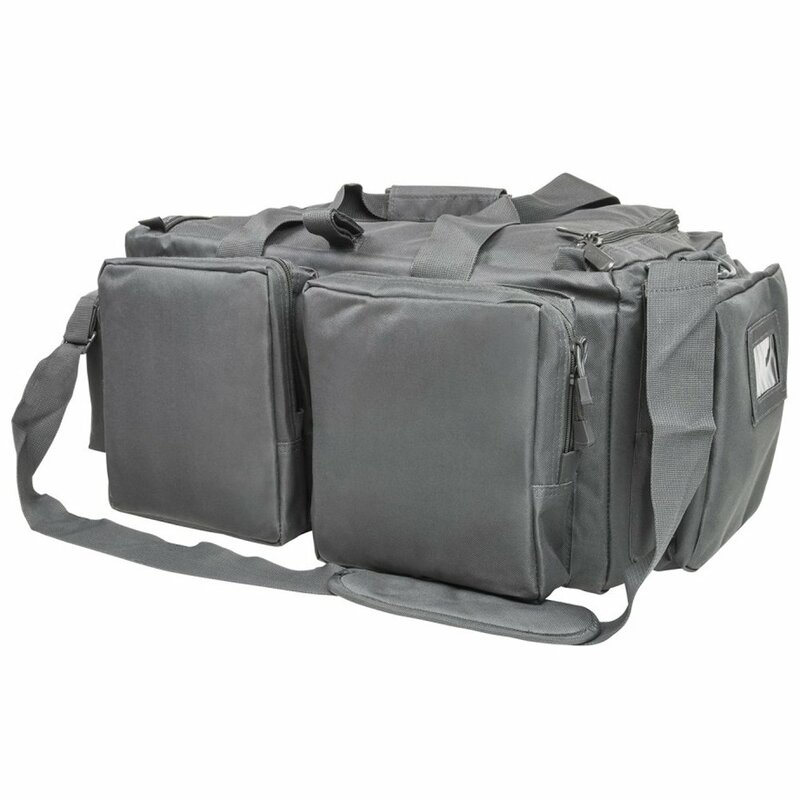 Small hook and loop fastener Pocket Dividers 5”L X 6”H. 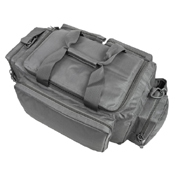 Zippered Padded Side Compartments (perfect for handgun storage) 18”L X 7½”H.